Snowberry bush (Symphoricarpos albus) is a medium-size ornamental shrub best known for brilliant white berries that emerge from September to November. Oval, blue-green leaves dot snowberry branches in spring and summer, and its overall shape is loose and open when left alone. Depending on the cultivar, snowberry can grow slowly to a height and spread of 4 to 8 feet. Prune snowberry for shape or rejuvenation in early spring, before new growth begins. 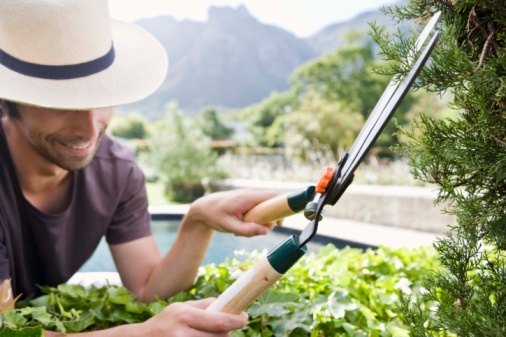 Keep pruning tools clean and sharp. Examine what's left after removing the dead wood. If what remains is sparse, prune for rejuvenation. Cut all the branches back to 6 inches from the ground. The snowberry will recover, much as butterfly bushes do, sending out multiple new shoots from the cut areas. Rake up and dispose of snowberry prunings. Put them in yard waste bags or add them to a compost pile. 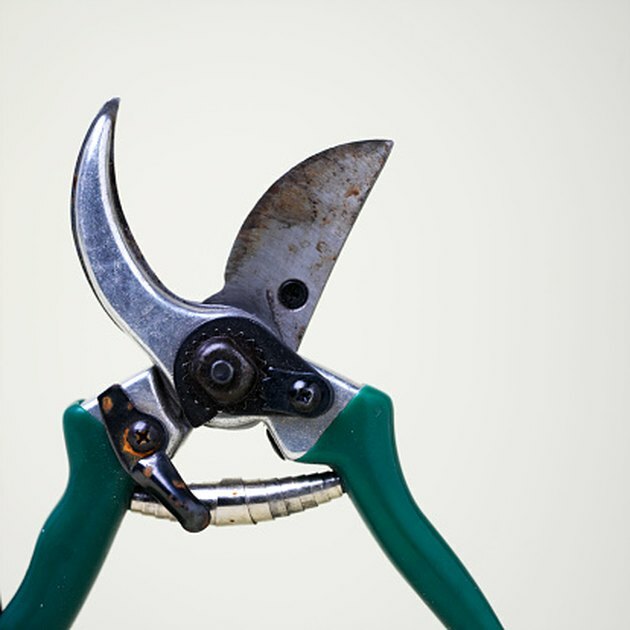 Clean and dry pruning shears before storing or using them on other plants.